Natural goose down collected in Ukraine and Moldova. 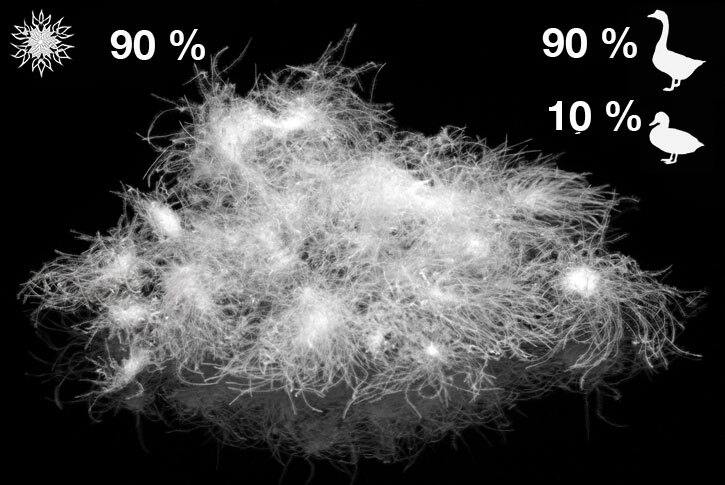 Down is washed and sterilized at temperature of 120 degrees for at least 60 minutes. Unwashed goose down is a specific product, please check availability and price. White goose down original, down content 95%, duck down content up to 5%. 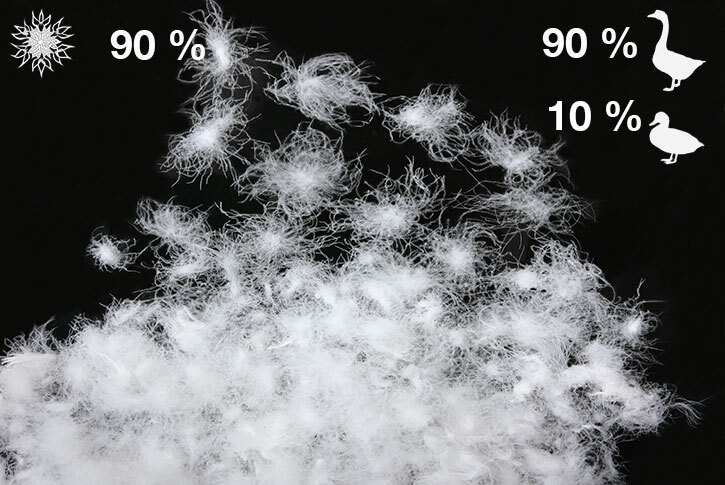 White goose down original, down content 90%, duck down content up to 10%. Grey goose down original, down content 90%, duck down content up to 10%. Grey goose down original, down content 80%, duck down content up to 10%. 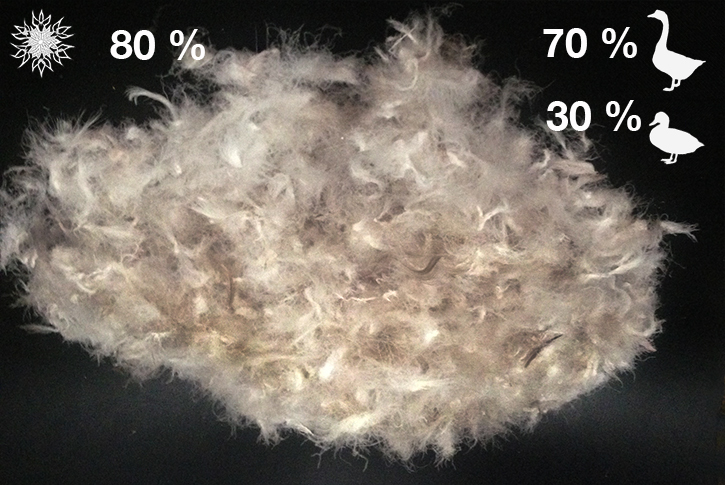 Goose down, couchee (used), down content 80%, duck down content up to 30%. White goose down original, down content 95%, duck down content up to 10%. Unwashed white goose down is a specific product, please check availability and price. 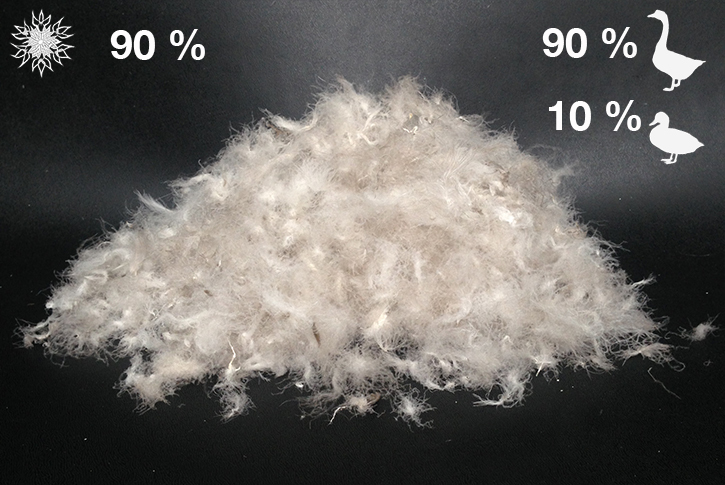 Unwashed white goose down original, down content 90% is a specific product, please check availability and price. Unwashed grey goose down original, down content 90% is a specific product, please check availability and price. Unwashed grey goose down original, down content 80% is a specific product, please check availability and price. 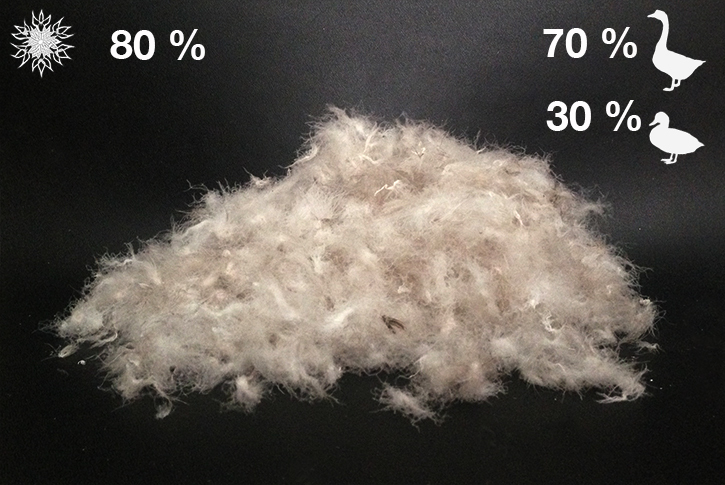 Unwashed goose down couchee, down content 80% is a specific product, please check availability and price.